--Ella Wheeler Wilcox (1850-1919) American Author and Poet. 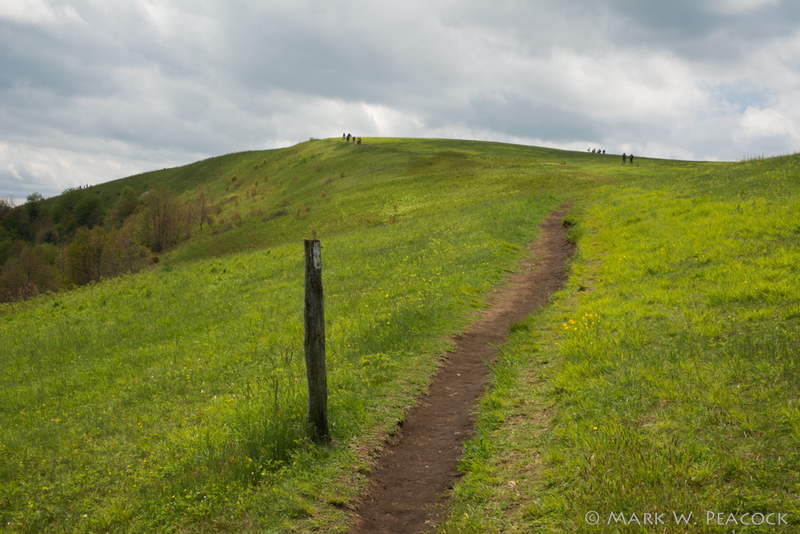 It's a long and difficult drive to get to Max Patch (an enormous 300 acre bald about 50 miles west of Asheville), but it's well worth the time and effort. I wish it was closer, I'd be there all the time. Click here for directions and full description. Once at the parking area, the masses head straight up the bald ignoring the 'trail closed' signed which is intended to preserve the bald by minimizing erosion. I recommend heeding the sign and turning to your right or left. This loop trail takes you around the bald and then meets up with the Appalachian Trail which will take you to the summit. Most people head straight up the bald, and in the past I've been guilty of that myself. 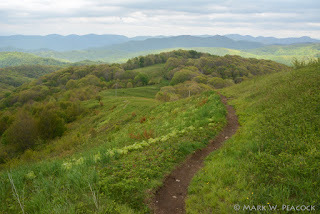 But taking the trail less traveled will really help you to appreciate the scope of Max Patch and give you amazing views everybody else (except thru-hikers) misses. 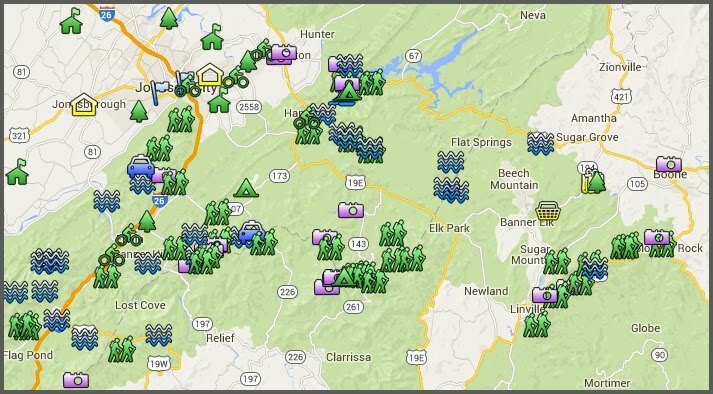 The top photo is the view of the bald coming in on the AT from the north. The people at the top look like ants! The second photo shows the view once you climb the bald from the south on the AT.